I have to admit it’s very hard to keep up with all the AOR being released these days. Another amazing thing is that plenty of albums being released are of a very high standard. 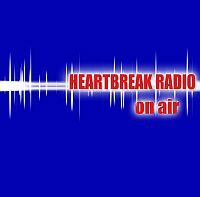 One of the newer contenders in the AOR world is Heartbreak Radio, with their new album On Air. Love on Fire is typical modern AOR with solid hooks and guitar playing. Angelina and You are Love take us into Toto territory, which is a refreshing change, since most modern bands don’t dare to tackle the Toto style. Turn on Love has a Chicago (the pop years) feel, especially with the big brass band playing and the rather kitschy romantic theme. I Will Love You goes even deeper into romantic rock, with a nod to Michael Bolton. Finally, we return to some solid AOR with the next few numbers. All over the World is another funky Toto “tribute”. The last three pieces finish the album gracefully, with yet more eclectic AOR influences, but of course the last track had to be a love song. Just about every song is about love, which certainly diminishes the veracity of the lyrics. I mean, in how many ways can you declare love and to how many women? Some of the best poets in the world have done a decent job, but Heartbreak Radio have not, repeating the same old lines in just about every song. On the other hand, the music is some of the most varied you’ll find in the AOR genre. No two songs sound the same and they really went all over the map when choosing their AOR influences, from Toto, Journey, Chicago, Michael Bolton and many more. This feeling is cemented even further with so many lead singers. It's not an AOR classic, but a pleasant enough album to listen to. Plenty of warm melodies, great singing and guitar playing. If you’re into the mushier stuff, this pushes the right buttons. If nothing else, it’s nice to listen with a glass of nice wine, while embracing your loved one. This is an album dripping with 80s sickly charm. The pop vibe to the songs is undeniable with big yet unthreatening keys “battling” with the layered vocals for supremacy. Horns pop in and out and the rhythms are fairly anonymous. This takes the best of yesteryear and does give it a modern spin. It’s catchy, radio friendly niceness of the highest order but lacks the real mark of the big genre names. The songs come and go in a bit of a procession as they rarely deviate from the central themes. The long closer is slower and even softer, the guest vocals yearning, and it’s probably the best on show. That probably sums up how mellow the rest are if such a ballad can steal the album. Genre fans will love this but for me it lacks the bite or big hook that made the names of the bigger bands. If you are a genre fan add five to the score.